Ladies with bats, any questions?? Obviously repeating will be very difficult, but I believe this team certainly has the potential to do so. This team will be extremely talented up the middle which is a must. Lost the two mid-infielders but has a Fr. coming in that is very good. On paper, probably the best team Weimar has ever had, but you still "gotta" play the game. Weimar will most likely not field a full team for a couple of weeks into the season because they have a very good basketball team of which 5 to 6 of them play both sports. Region 4 always has tough teams. I wouldn't be surprised if the Region 4 champion ends up in the championship game in 2014. Sounds like someone is jumping the gun....already the best team? lynx wrote: Sounds like someone is jumping the gun....already the best team? Not at all. With their history, Region IV has produced very competitive teams and won the state title last year so it is not a reach to say that one of the teams from Region IV could end up in the championship game again. Just to be sure your weren't confused, my team (Windthorst), is Region I. We have fielded strong teams but haven't been able to get past Albany. I agree with you Windthorstdad on the Region IV rep being the favorite, but my response was to the wildaggie post about Weimar claiming that role already in a very competitive region..what about region 2 or 3? lynx wrote: I agree with you Windthorstdad on the Region IV rep being the favorite, but my response was to the wildaggie post about Weimar claiming that role already in a very competitive region..what about region 2 or 3? My bad, I thought the reply was to my post. :-) Looked at playoff bracket from last season and top teams are below. Not sure who will come reloaded again but I expect Bosqueville will be strong as usual. Lynx...just saying with 7 returning starters Weimar will have the potential to repeat. As I said, you still "gotta" play the game and anything can happen but they will be very good and are very well-coached. Weimar starts the year with three (3) straight losses. The pitcher is now back as well as 5 starters from the basketball team so things should turn around for the Ladycats. Weimar wins their first district game, 5 to 4, against a good Shiner team. Weimar manages to win the game despite giving up 14 walks. Weimar still looks very rusty with 6 starters just getting back into action after state basketball tourney. Wildaggie wrote: Weimar wins their first district game, 5 to 4, against a good Shiner team. Weimar manages to win the game despite giving up 14 walks. Weimar still looks very rusty with 6 starters just getting back into action after state basketball tourney. 14 walks is very surprising?! Was Kendall Marak pitching or someone else? In the end, they are teenage girls and some days are better than others. I have no doubt she'll be sharp soon. Weimar starting to look better. Went 3-0-1 in the Hallettsville tourney over the weekend run ruling 3 teams and battling 10th ranked 3A Yoakum to a 1 to 1 tie. They also run ruled 12th ranked Thrall 11 to 1 Friday night in between tournament games. Weimar headed to the annual tourney in San Marcos where they will host 30 - 40 teams from around the state. Weimar will face some very tough competition with 1A thru 5A teams present as well as some private schools. I believe the Ladycats will play 4 games today. Wildaggie wrote: Weimar headed to the annual tourney in San Marcos where they will host 30 - 40 teams from around the state. Weimar will face some very tough competition with 1A thru 5A teams present as well as some private schools. I believe the Ladycats will play 4 games today. One of our local teams (3A Burkburnett) will be there and they went to state last year. Their ace is 6' and throws 65 mph plus rise-ball. Backup pitcher throws 61 mph. If you get to face Burkburneet, Weimar will at least see some really good pitching to hit. Not sure who they are playing but almost a guarantee they will face some good pitching in many of their games. To come out of that tourney at 3 and 3 would be no shame. I think the Ladycats went 1 and 2 in last year's pool games and the then proceeded to win the bronze bracket. There aren't many 1A teams there. Wildaggie wrote: Not sure who they are playing but almost a guarantee they will face some good pitching in many of their games. To come out of that tourney at 3 and 3 would be no shame. I think the Ladycats went 1 and 2 in last year's pool games and the then proceeded to win the bronze bracket. There aren't many 1A teams there. Very nice winning bronze last year. You are correct, playing and succeeding against larger schools is both an achievement and good preparation for the journey to state for your girls. Good Luck! I wish we were there. Love watching top notch softball teams play ball. Maybe we can talk our coach into making the trip next year. Not a real Burkburnett fan but I noticed they threw their #3 pitcher (was JV at start of season) so not sure what the coach was thinking there. If you go to a top tournament then you should go with your best arm(s) IMO. I'll be watching the scores and pulling for the 1A teams. Good luck! Not real sure either...possible state tourney foes in 3A if Sweeny can get by LaGrange..I'll try and find out other results. lynx wrote: Not real sure either...possible state tourney foes in 3A if Sweeny can get by LaGrange..I'll try and find out other results. Oh, didn't realize Sweeny was 3A then you might be right. I saw Burkburnett threw their ace the next two games and both were shutouts with one a no-hitter I believe. Look forward to finding out the 1A team scores. Weimar wins next 2 games to go 3 and 0 so far. If Weimar and Shiner get in the gold bracket, it will get really, really tough and will most likely be playing good 3A - 5A teams. Weimar is missing their 1st baseman and catcher today. Actually the 1st baseman is out for the year...torn meniscus. Catcher is sick today but should be there tomorrow. Usually hits in the #3 spot. Weimar finished 4th in the gold bracket of the 30 plus teams at the san Marcos tourney. The final came down to Burkburnett and San Marcos. Anyone know who won? My alma mater, Burkburnett, defeated San Marcos 1-0 with a run in the bottom of the 6th and final inning. It's Windthorstdad's alma mater as well. He was a few years ahead of me!!! Small world but I graduated in a class of 200 and there are 2 other classmates that live in Windthorst. Pretty sure there are couple in Archer City too. Windthorstfan wrote: My alma mater, Burkburnett, defeated San Marcos 1-0 with a run in the bottom of the 6th and final inning. Small world but I graduated in a class of 200 and there are 2 other classmates that not live in Windthorst. Pretty sure there are couple in Archer City too. A few years...lol...WindthorstFan is being nice, it's more than a few years but I appreciate you. 1-0 in the championship game! I would have loved to have seen this game. Weimar clinches district championship with 12 - 0 win over Flatonia. Harper is coming to Weimar Friday night to play a non-district game. Both teams are ranked...should be an interesting game. Congrats to a very good Weimar team! Looking forward to hearing about the outcome of the Weimar / Harper game. Weimar beats Harper 9 to 0. Harper was not able to pitch their number one due to injuries. Harper traveled a long way and a good time was enjoyed by all. Some of the Weimar parents cooked some hamburgers and fish for the visiting Harper fans to enjoy after the game. A lot of pleasantries were shared between the Weimar and Harper people...good bunch of folks! Weimar beats Ganado last night 4 to 2 in a close game. Our catcher hits a HR late in the game to put us up and we manage to hang on. No excuses, but 4 of our girls played in the regional golf tournament yesterday and I know they were exhausted last night. Up very, very early yesterday with a lot of golf and a lot of traveling. Congrats to the Ladycats as they win the regional golf tourney and are headed to state! Weimar beats 3A Sealy last night 5 to 0 in a warm-up game. The Ladycats are looking pretty good defensively, just need to be a little more consistent offensively. 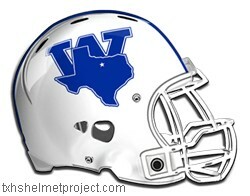 Wildaggie wrote: Weimar beats 3A Sealy last night 5 to 0 in a warm-up game. The Ladycats are looking pretty good defensively, just need to be a little more consistent offensively. Congrats to Weimar! Always fun taking down a larger school. Good to hear your defense is looking strong; we need to clean up a few mistakes before I'd call us good defensively. At this point, I'd say we're decent with much improvement to be made. Good luck in the playoffs. Weimar beats Thrall 3 to 2 in 8 innings. Thrall's pitcher was very good. She was consistently around 60 and very good defensively. Thrall could have easily won this game but Ladycats managed to survive. This type of game will probably be good for the Ladycats in the long run. Wildaggie wrote: Weimar beats Thrall 3 to 2 in 8 innings. Thrall's pitcher was very good. She was consistently around 60 and very good defensively. Thrall could have easily won this game but Ladycats managed to survive. This type of game will probably be good for the Ladycats in the long run. I read about the Weimar victory and so wish I could have seen this game. Sounds like it was a real battle. Good luck to Weimar ladies next round. I never felt like I was jumping the gun, I just thought Weimar would be the team to beat this year. I am not sure about next year because I am not sure who will be in the circle. However, we will return quite a few starters including the catcher, SS and CF who broke her ankle in the regional finals against Shiner and didn't even play at the state tournament. These 3 players are very, very, good. Probably as good at their positions as anybody at the class A level.